The Oakley Milestone 3.0 prescription glasses have a gravity-defying design that takes advantage of an ultra-strong yet flexible material. The Oakley Milestone 3.0 glasses feature a soft square lens shape, and the nosepads provide all day comfort, durability, and a seamless look. 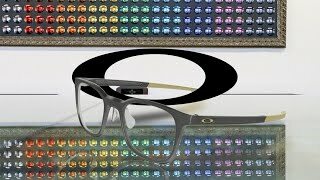 The Oakley Milestone 3.0 prescription glasses are equipped with an adjustable wire core temple, an integrated hinge, and earsocks for a no slip grip, all of which provide a comfortable fit for many faces.